Betty graduated from National Cheng Kung University with a bachelor's degree in accounting in 1980 Upon graduation，she worked as an accounting clerk at British Mass Transit Consultants (BMTC)，a consortium of seven British engineering and allied companies conducting a feasibility study and a preliminary design project for the Mass Rapid Transit (MRT) in Taipei. 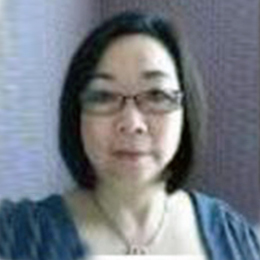 In January 1984，she married a fellow NCKU alumnus，Jim Tso，and moved to the United States. Stephanie，Tiffany， and Kathleen. Stephanie is a law school graduate of Washington University in St. Louis. She is to start her law practice with Fulbright & Jaworski in Dallas this fall. Tiffany is a graduate of the University of Texas and is working as an editor with a magazine in New York City. Kathleen，also a recent graduate of University of Texas，is just starting her career as a fashion researcher with Style Sight in New York City. Betty went back to school. Betty was an accounting major in college but after 10 years away from the field of accounting，she began taking IC design courses. It was a challenge to go to school and raise three young children at the same time，however，she persevered and overcame obstacle after obstacle. In 1995， she started working as a junior IC layout designer at Cirrus Logic Inc. in Austin， Texas. In 1996， the Tso family moved to Dallas due to Jim's job transfer. Betty started working for Texas Instrument，Inc. (TI). Despite the fact that she did not have an electrical engineering degree and struggled with English， she made up with diligence and hard work. Betty was promoted to a position of section manager within four years due to her brilliant performance and consistent project successes. Today，Betty has continued to excel at her job in TI. Besides having a successful career，she never forgets to give back to our community. She has introduced seven Chinese-American women to their IC layout careers and she continues to mentor these women on the job.